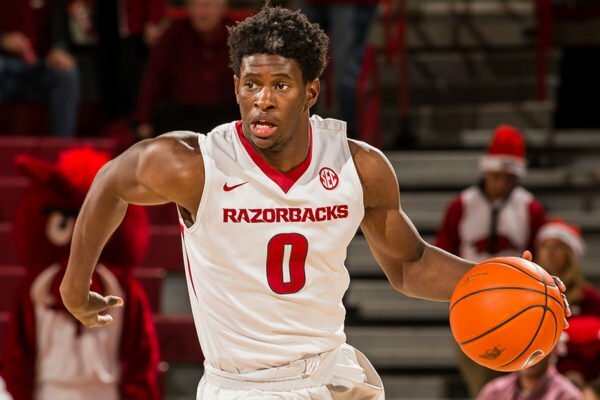 The SEC enjoyed another successful season, with the league earning seven bids and potential for a few of those teams to get to the NCAA Tournament’s second weekend. Just a few hours before the first tip, let’s take a look at the biggest questions facing the league as the Big Dance begins. Which SEC team has the best chance to go deep? 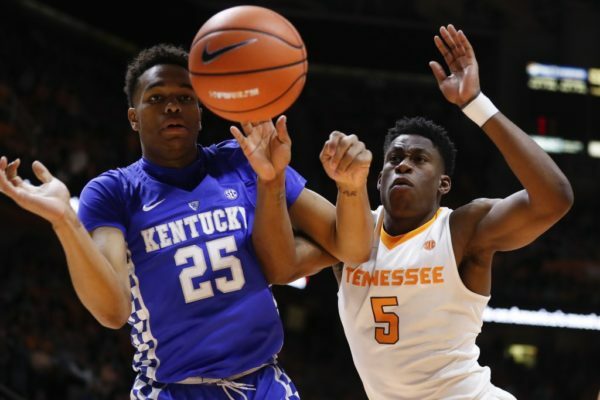 Tennessee and Kentucky have been the league’s best two teams all year, despite LSU claiming the regular season title and Auburn winning the SEC Tournament. Both the Volunteers and Wildcats are capable of making a run to Minneapolis, but it says here that John Calipari‘s team has the best shot. With Keldon Johnson, Tyler Herro and Ashton Hagans leading the way in the backcourt, along with budding superstar P.J. Washington and graduate transfer godsend Reid Travis, the Wildcats are the league’s best bet to reach the Final Four and cut down the nets once they are there. 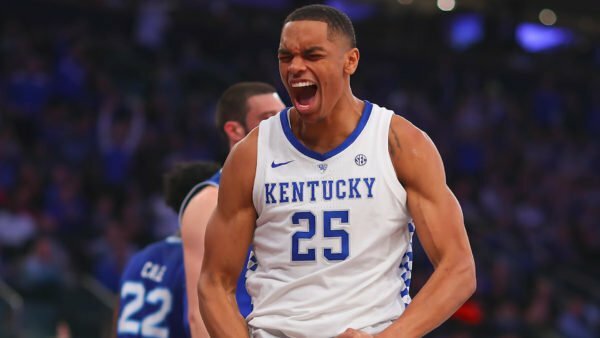 This team is a far cry from the shaky group that got destroyed by Duke on opening night, and Big Blue Nation would salivate about getting another shot at the Blue Devils on an April Monday night. Which SEC player will break out and make a national name for himself? Tennessee’s Jordan Bone did not earn first-team all-SEC honors this year, even though a case can be made that he is the Volunteers’ most valuable player. Many across the country already know that Bone is an excellent cog in Rick Barnes’ attack, but his importance to this team cannot be overstated. 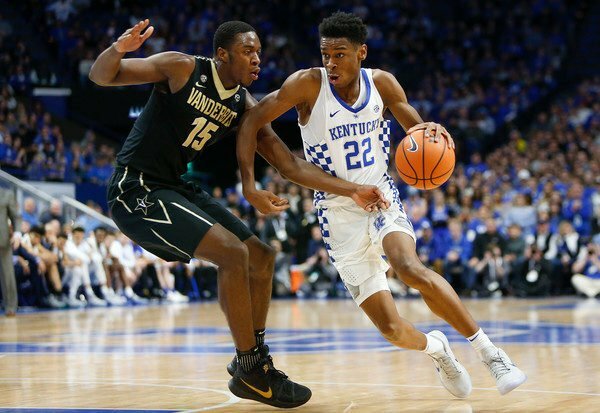 In Sunday’s SEC Tournament championship game, Bone was not himself, dishing out only two assists while committing three turnovers — he averages six assists and two turnovers a game — and the rest of his team followed suit. 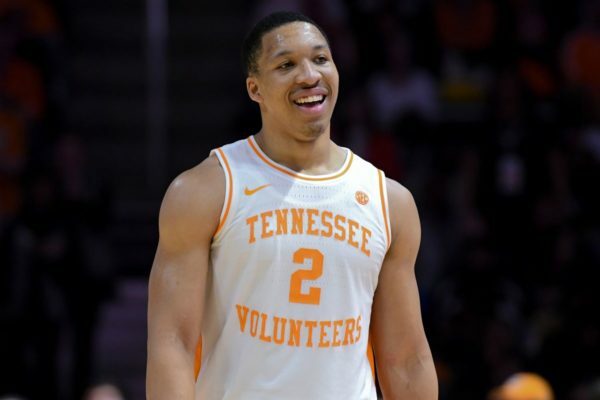 Tennessee will only go as far as Bone can take them, and he has the chance to elevate his reputation from being a really good player to becoming a great one this March. 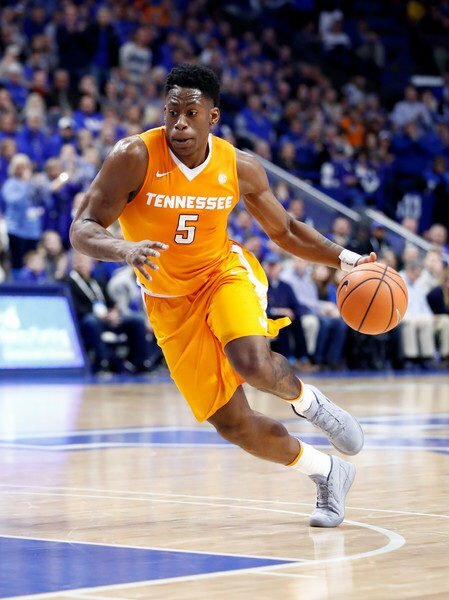 Tennessee-Kentucky, Part III: Battle for a #1 Seed? 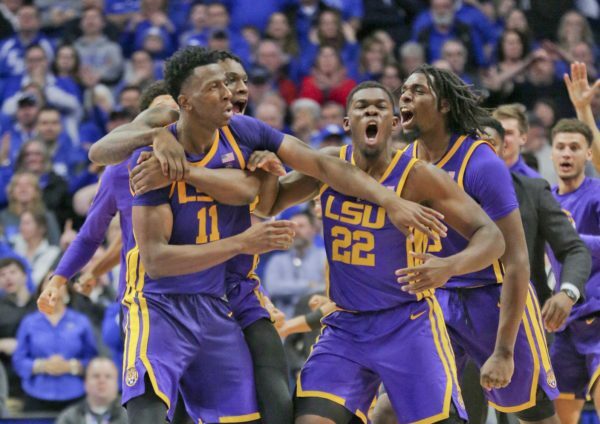 LSU won the SEC regular season championship, but anyone who has followed college basketball this season knows the conference battle that matters on the national scene is the seesaw between Tennessee and Kentucky for what could be the fourth #1 seed. With the Tigers getting dispatched by Florida on Friday afternoon, the stage is now set for the third installment of this season’s battle between the two hated rivals. Sure, it won’t get the fanfare and doesn’t have the star power of North Carolina vs. Duke, but when the Volunteers and Wildcats face off on Saturday afternoon, the implications may be just as great. Kentucky came into the weekend projected as one of the four top seeds in the NCAA Tournament by essentially everyone; likewise, Tennessee is viewed as a #2 seed in nearly every relevant bracketology. If the Volunteers beat the Wildcats for the second time this season, it stands to reason that they will instead have a claim on a top seed going into Selection Sunday. On Friday evening, both teams handled their business with relative ease. Kentucky, behind a swarming defense that forced Alabama into just 30 percent shooting, dispatched the Crimson Tide, 73-55. 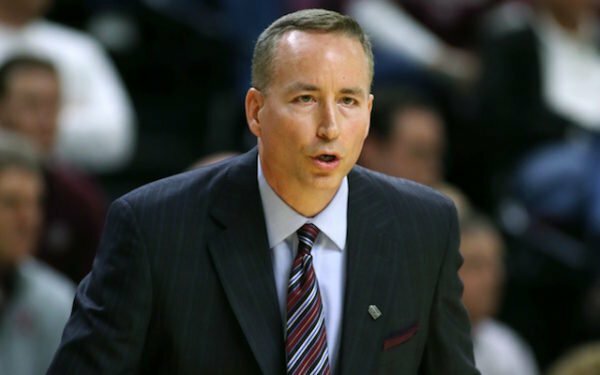 Tennessee faced a tougher challenge from a game Mississippi State team that is solidly within the field of 68, before showing the offensive efficiency they are known for on their way to an 83-76 win. For the first time ever, the SEC has placed eight teams into the NCAA Tournament field. Here are some quick impressions of the draws each of those teams received. Quick First Round Preview: The Volunteers draw Horizon League champion Wright State. The Raiders are solid defensively, ranking 53rd nationally in defense, per KenPom, but struggle mightily on the offensive end (#248). Tennessee needs to get guard Jordan Bowden going, but the Vols should be able to take care of business here. Intriguing Potential Matchup: Texas in the Sweet Sixteen. Sure, the Longhorns would have to upset both Nevada and Cincinnati to get to the regionals, but who wouldn’t want to see Rick Barnes take on the school he led to 16 NCAA Touranment bids in 17 seasons. Final Word: The Volunteers need to be more efficient offensively, especially inside the arc, but they are a threat to make a deep run as they rarely play themselves out of games. 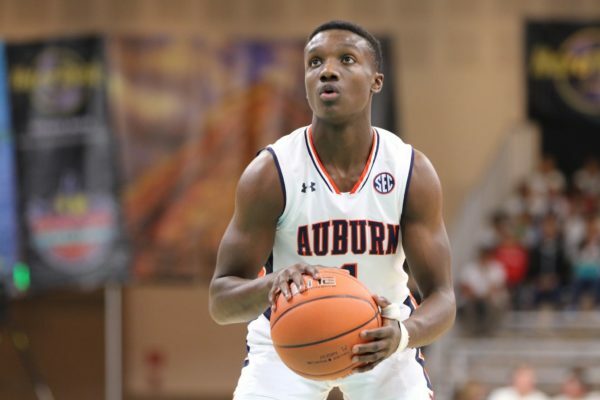 Quick First Round Preview: The Tigers open with College of Charleston and should be able to exploit the Cougars’ shoddy three-point defense to find immediate success. Intriguing Potential Matchup: Kansas in the Sweet Sixteen. Bruce Pearl had his fair share of success at Tennessee against Bill Self, and if the Tigers can right the shaky ship to make it to the second weekend, they could be dangerous upon arrival. Final Word: Auburn has struggled mightily on the offensive end down the stretch, and may have run out of gas this season. An early exit from the SEC Tournament this weekend might have been a blessing in disguise. Despite being underdogs in seven of the 10 games of the Big 12/SEC Challenge last weekend, the SEC pulled off its first overall win (6-4) in the fourth year of the battle between power conferences. It was yet another boost to a league that has undergone a revival of sorts this season. Let’s take a look at the good and the bad for the SEC from Saturday’s action. 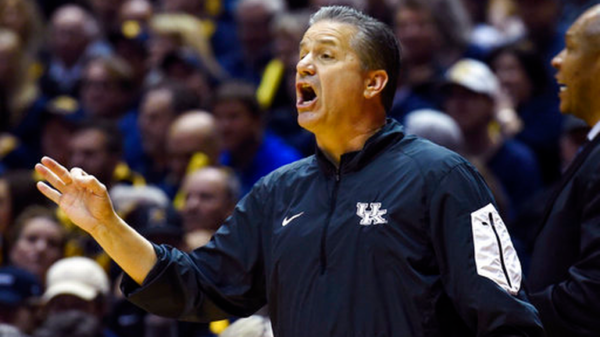 John Calipari paid homage to Bob Huggins with his attire, then saw his team pull off a big upset against the Mountaineer coach (John Clay/Lexington Herald-Leader). Kentucky’s Upset of West Virginia. How improbable was it that the previously struggling Wildcats would come back from a 17-point second half deficit in Morgantown on Saturday night? According to KenPom’s win probability metric, the Mountaineers had a 97.8 percent chance of emerging victorious with 17 minutes left in the game. And yet, Kentucky stormed back and notched the impressive victory. While an inspiring road win doesn’t fix all of the Wildcats’ ongoing woes, it will serve as a clear resume-enhancer for a club desperately in need of one and should boost the team’s confidence as it heads into February. The last weekend of 2017 marks the first weekend of conference play for several SEC teams.Today we look at a few of the compelling match-ups that lie ahead on Saturday and Sunday. Tennessee at Arkansas. What looked before the season like a relatively nondescript opening game now appears to be the marquee SEC match-up on this weekend’s slate. The #19 Volunteers, picked to finish 13th in the preseason projections, head to a sold-out Bud Walton Arena for what could be one of the best games of the entire season. Tennessee has already won four games away from Knoxville, including two road wins against ACC competition. But beating the Razorbacks in Fayetteville will require its best performance of the season. The key to this contest might be whether the Vols, which force a lot of turnovers, can do so against an Arkansas team that takes care of the ball as well as any group in college basketball.